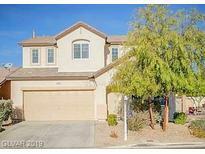 Below you can view all the homes for sale in the Laurel Canyon subdivision located in North Las Vegas Nevada. Listings in Laurel Canyon are updated daily from data we receive from the Las Vegas multiple listing service. To learn more about any of these homes or to receive custom notifications when a new property is listed for sale in Laurel Canyon, give us a call at 702-323-5963. This North Las Vegas two-story home offers stainless steel appliances, granite kitchen countertops, master bathroom with separate tub and shower, a backyard patio, and two-car garage. MLS#2084336. Opendoor Brokerage LLC. Easy access from 215 or I-15. MLS#2081602. Signature Real Estate Group. Large master bedroom and bathroom has dual sinks, separate shower and tub. Large closet. Big backyard. MLS#2078405. Century 21 Americana. Blinds throughout, Hardwood floors, Separate Laundry Room and lots of Potential, needs a little TLC! MLS#2077208. The Collective Real Estate Adv. Great open floor plan with vaulted ceilings, convenient location, neighborhood park with small playground. MLS#2072149. Rich Baron. 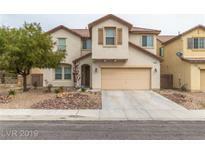 Geat location w/easy access to I-15, shopping, schools & parks. MLS#2070235. GK Properties. Custom wood railing on stairwell. Large backyard with concrete deck. MLS#2063720. Platinum R.E. Professionals. Community park and Trails along with common area maintenance is part of the HOA. MLS#2058416. Opendoor Brokerage LLC. Oversized Corner Lot.Back Yard Is Low Maintenance. MLS#2048291. City Villa Realty & Management. Don’t miss out, Make an offer today! ! MLS#1918392. Compass Realty & Management, L.